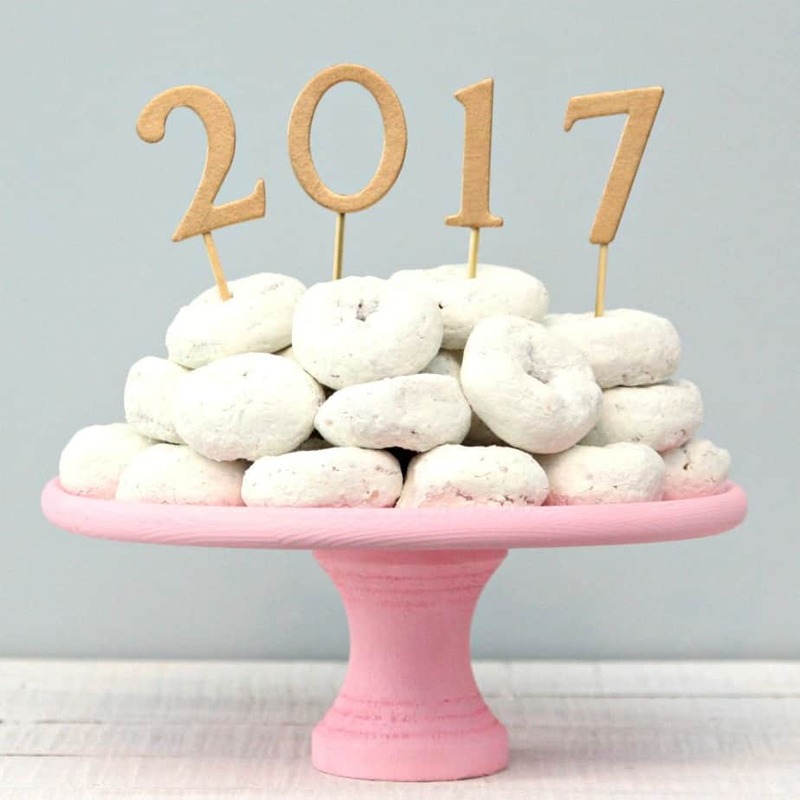 Ring in the new year with a fun donut cake and this easy New Year’s Cake Topper. I just found out that you should eat ring-shaped food on New Year’s Eve or New Year’s Day to signify the year coming full circle. Well, you don’t have to tell me twice to eat donuts and bagels on New Year’s! I will gladly celebrate the day with a donut for breakfast. 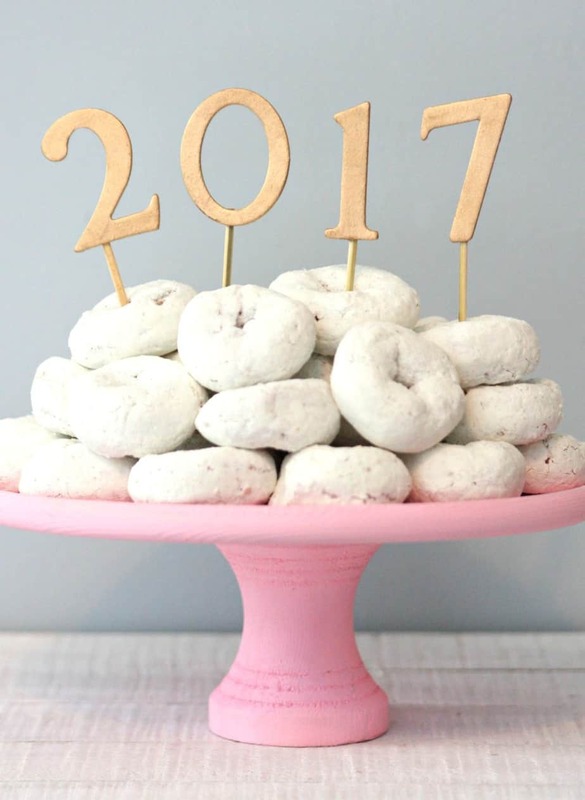 And we’re having our annual New Year’s Eve party so I thought it would be fun to make a donut cake out of mini donuts and top it off with a fun DIY Cake Topper. This is the easiest thing to make. Just paint wooden letters or numbers and glue to wooden skewers. I painted my numbers gold but you can paint then any color. I was going to spell out CHEERS but at the last minute I decided to go with 2017. 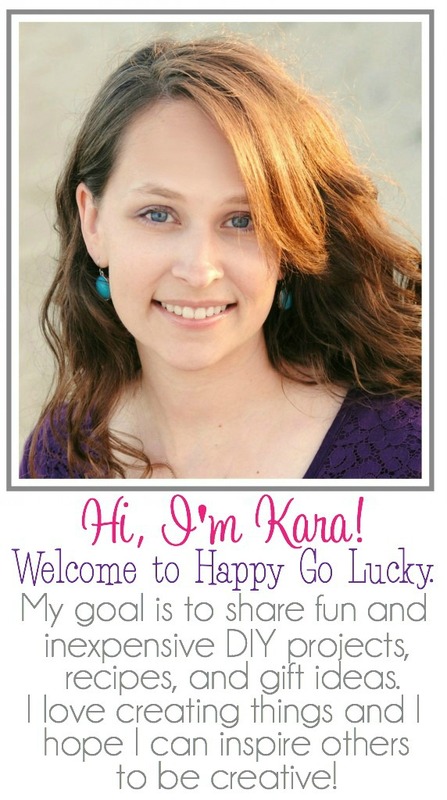 Either way, it’s an easy DIY project and perfect for the New Year. Paint the letters or numbers. Glue wooden skewers to back of letters/numbers. That’s it! Such a simple way to add some fun to any cake.